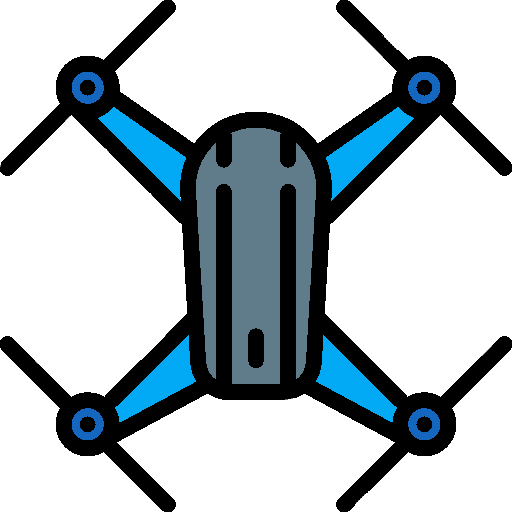 What is ceramic 3D printing? Today, ceramic 3D printers are mostly expensive industrial additive manufacturing systems. These systems vary in the 3D printing technologies they use to 3D print ceramic material: extrusion, binder jetting, photopolymerization and powder sintering. However, 3D printing is only part of a longer manufacturing process. Ceramic 3D printers generate green parts, meaning that they must go through heavy post-processing steps in order to reach their final form. One of these steps, for instance, is firing the ceramic part or prototype in a high-temperature kiln. The ceramic 3D printing process. Ceramic material is widely used in a number of industries. Of course, some of the first applications that come to mind are pottery or kitchenware – but ceramics are literally everywhere and in many different forms. We’ve decided to put together a comprehensive selection of ceramic additive manufacturing solutions for industry professionals, as it is a growing and promising market. For hobbyists or professionals who are simply looking for a desktop clay 3D printer, we also provide a short list of some that are available on the market. This table represents a comprehensive overview of the ceramic 3D printer market for industry professionals. Since metascores are unavailable for these additive manufacturing systems, they have simply been listed in alphabetical order. *Price: most of the prices in this table are price ranges, as these industrial-type manufacturers generally only give this information upon quote request. **Service: some manufacturers also provide a paid 3D printing service for those who do not need to fully own an industrial ceramic 3D printer. Paste extrusion: a paste extruder deposits layers of ceramic onto a build plate. Powder sintering: the ceramic is in a powdered form and is sintered layer by layer. 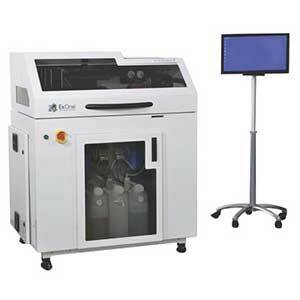 Binder jetting: the 3D printer deposits layers of binding agent upon layers of powder. Photopolymerization: a light source solidifies a mix of resin and ceramic powder layer after layer. Most industrial ceramic 3D printers use either binder jetting or powder sintering technologies. Our 3D printing technologies guide explains these methods in more detail. Firing: in some cases, this step must be repeated more than once. Glazing (optional): professionals may choose to cover the object with glaze to give it a special color or finish, such as matte or glossy. 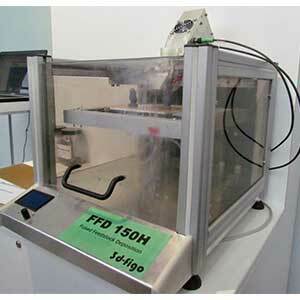 3d-figo’s FFD 150H is a desktop ceramic 3D printer from Germany. First, the FFD 150H 3D prints a green (raw) part. Then, the part must go through debinding and sintering processes. The FFD 150H is able to 3D print with ceramic and metallic materials. The CERAMAKER is able to 3D print different engineering ceramics, including: zirconia, alumina, hydroxyapatite/TCP, Si3N4, cordierite, zirconsilica, and silica. These materials are in the form of proprietary, photosensitive pastes that the ceramic 3D printer photopolymerizes layer after layer. 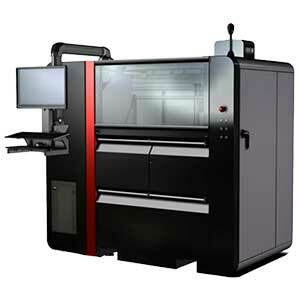 3D Systems is one of the biggest 3D printer manufacturers in the US. 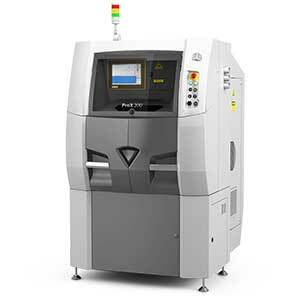 Their ProX DMP 200 Dental additive manufacturing system uses Direct Metal Printing technology. It allows professionals to produce high-quality dental prosthetics with either ceramic or metal materials. 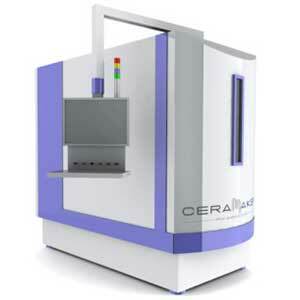 This ceramic additive manufacturing system uses DLP 3D printing technology. Compatible materials include aluminum oxide, zirconium oxide, silicon oxide, a combination of aluminum and zirconium, hydroxyapatite and silica based materials for investment casting. The ExAM 255 ceramic 3D printer by German manufacturer AIM3D is able to 3D print a wide variety of materials thanks to its pellet extruder. Their technology, Composite Extrusion Modeling (CEM), is cost-efficient as it is compatible with common and widely-available pellets. 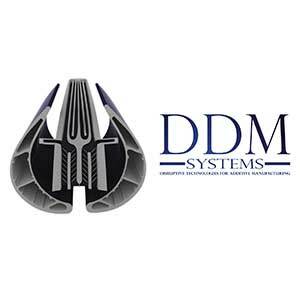 DDM Systems produces on-demand additive manufacturing systems that integrate their LAMP technology. LAMP, which stands for Large Area Maskless Photopolymerization, is designed to generate ceramic cores and integral cored shell molds for investment castings. 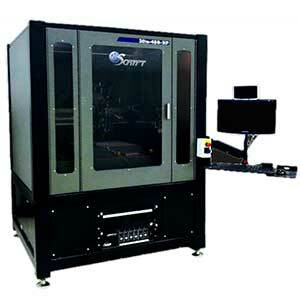 This industrial ceramic 3D printer uses Binder Jetting technology to 3D print sand, metal, and ceramic materials. The ExOne Innovent is mainly designed for research and educational purposes. 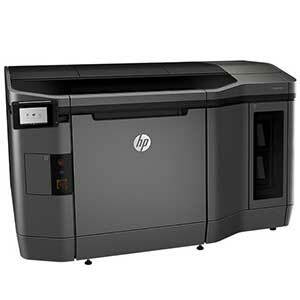 HP’s Jet Fusion 3D 4210 is a large volume industrial 3D printer capable of 3D printing various materials. These include PA 11, PA 12, Polypropylene as well as ceramics. 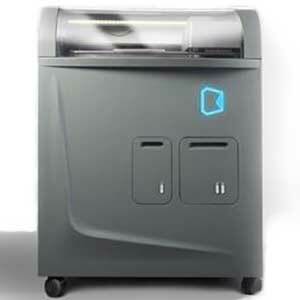 The Jet Fusion 3D 4210 uses HP’s proprietary Multi Jet Fusion 3D printing technology. Kwambio is an additive manufacturing company from the Ukraine with headquarters in New York. Their online ceramic 3D printing service enables users to choose from glossy, matte, opaque or unglazed finishes. The Kwambio Ceramo One ceramic 3D printer offers high precision and speed to do so. 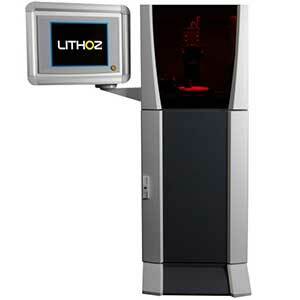 The Lithoz CeraFab 7500 is an industrial 3D printer featuring Lithography-based Ceramic Manufacturing (LCM) technology. This technology uses photosensitive resin to 3D print ceramic parts. According to Lithoz, this ceramic additive manufacturing system is plug-and-play. This professional ceramic 3D printer uses pneumatic extrusion technology, with an extruder capable of reaching up to 400°C. It is therefore able to 3D print a large array of materials, from ULTEM to ceramics. Prodways is a French manufacturer specialized in industrial 3D printers. Their ProMaker V6000 3D printer uses MOVINGLight technology, which is similar to SLA and DLP resin 3D printing. Compatible materials include ceramics as well as metals. 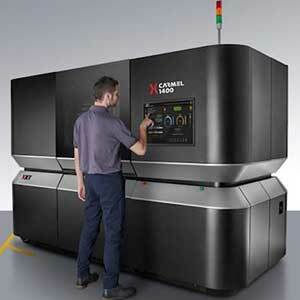 Voxeljet’s VX4000 is one of the world’s largest 3D printers. 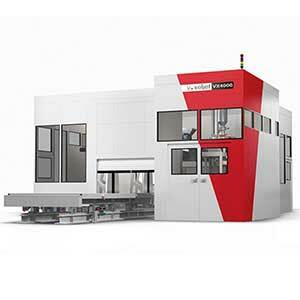 This huge ceramic additive manufacturing system uses Binder Jetting 3D printing technology, and boasts multiple build platforms to enable semi-continuous 3D printing. This industrial 3D printer from Israel breaks ceramic and metal material down into nanoparticles. These particles are then mixed to XJet’s proprietary liquid, which is then jetted layer by layer through thousands of nozzles. Therefore, ceramic 3D printing suits a wide variety of applications. For hundreds of years, we have been using clay to create beautiful and/or functional objects. Dutch designer Oliver van Herpt, for example, uses his ceramic 3D printer to create impressive vases. Ceramic material is also used in the luxury industry for watches and jewelry. There are a number of applications with 3D printing ceramics when it comes to the medical industry. For instance, patients can benefit from custom implants made of calcium phosphates, a material that is very close to human bone composition. Furthermore, it’s possible to control the implant’s porosity. This means 3D printed bone substitutes will have a low chance of rejection from a body’s immune system. 3DCeram illustrates this in their medical case study. Industrial ceramic additive manufacturing systems are very expensive, and manufacturers are aware of this fact. That is why a few of them give professionals the opportunity to use their machines through ceramic 3D printing services. This, for example, is especially useful for prototypes. Users just have to send their 3D model to the service, choose the material, and wait until they receive the final product. 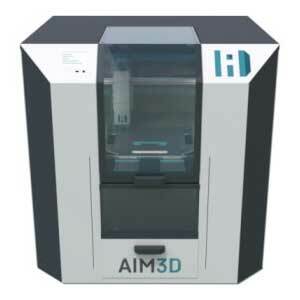 AIO (all-in-one) 3D printers are 3D printers that feature various functionalities. The most common functions are laser engraving, CNC milling and paste extrusion. Since some ceramic materials like clay are in the form of a paste, AIO 3D printers with paste extruders are capable of 3D printing ceramics. ZMorph’s multifunctional VX 3D printer features an array of capabilities thanks to its interchangeable tool heads. Apart from plastic 3D printing, laser engraving and laser cutting, the ZMorph VX is able to 3D print clay with its paste extruder. This Polish 3D printer, available for around $5,000, provides a large build volume of 300 x 300 x 400 mm. In addition to ceramics, the Tytan 3D Gaia Multitool is capable of 3D printing a wide variety of materials (including chocolate). 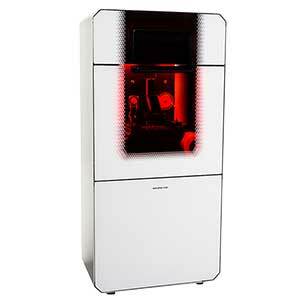 The DeltaWasp 20 40 is a desktop delta 3D printer by WASP, an Italian manufacturer. It is not particularly multifunctional to begin with, but WASP develops special clay extruders add-ons. WASP’s Clay Kit 2.0 is compatible with the DeltaWasp 20 40. DeltaBots manufactures a range of professional ceramic 3D printers. The 3D PotterBot 7 uses a direct extruder and a special clay container that can hold up to 2000 mL of material. This ceramic 3D printer is available at the manufacturer price of $4,850. The LUTUM by VormVrij is a large volume ceramic 3D printer from the Netherlands. It is able to 3D print different types of clay and is available starting from €6,370. Launching in 2019, the Bison 1000 is a desktop ceramic resin 3D printer from the US. Tethon 3D, the manufacturer, has been developing professional resins for a few years already and this is their first commercialized 3D printer. StoneFlower produces clay 3D printing kits that users can adapt to their own 3D printers. The standard 3D printing kit includes a special print head and a motorized syringe pump. It can 3D print clay and porcelain with a minimum layer thickness of 0.3 mm. The StoneFlower clay 3D printing kit is available starting from €399. Makers or users with experience in 3D printing have the possibility to create their own clay extruder. Instructions are available on Thingiverse. This Google Plus community has around 3,000 users that regularly help each other create an open-source delta clay 3D printer. Discover our selection of the best professional desktop SLS 3D printers. Try 3D scanning for free with these smartphone 3D scanner apps. We reference over 1,000 3D printers in our database to fuel our 3D printer comparison engine.